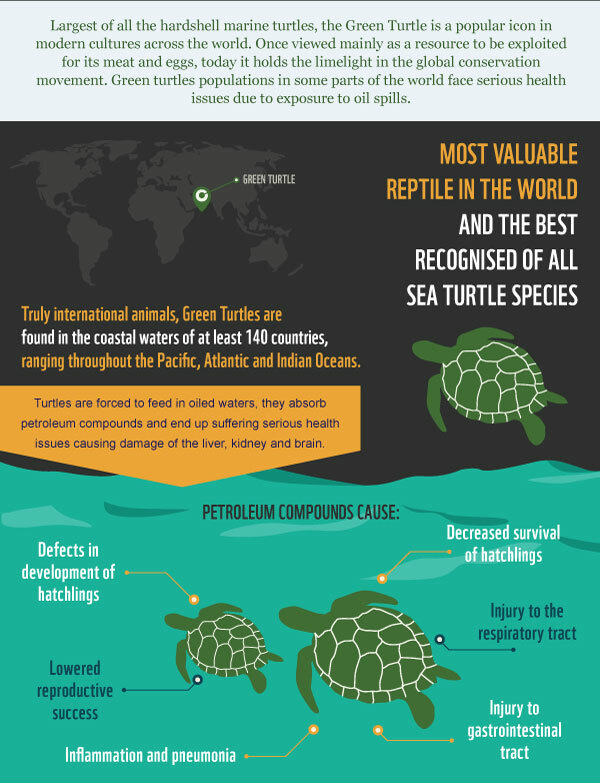 1/3 of animal species are at risk of extinction from climate change impacts. 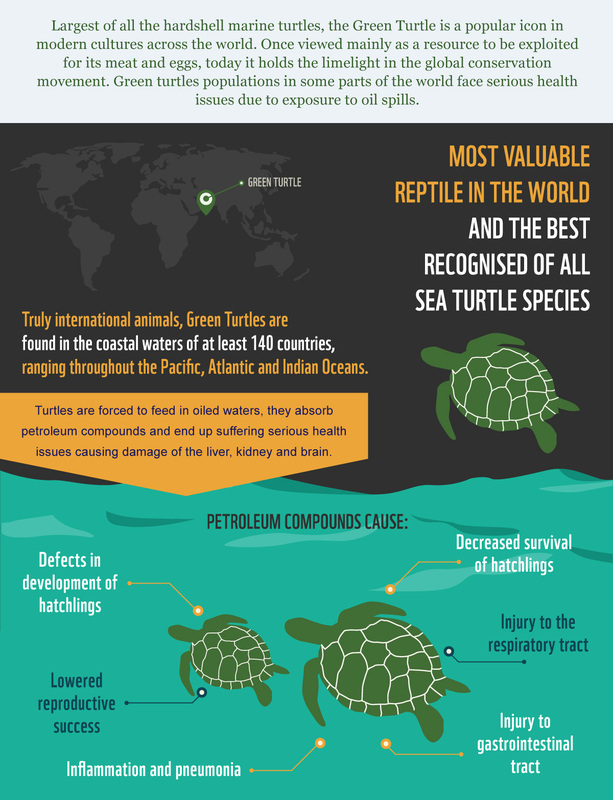 Due to repeated oil spills, Green turtles in the East Atlantic must feed in waters that contain damaging levels of petroleum compounds. Absorbing these substances can lead to serious health issues such as liver, kidney and brain damage. Solar power is one of the cleanest forms of energy. It emits no pollutants, no greenhouse gases, usually uses no water and produces no waste. Faced with the immediate threat of climate change, solar power will need to become an important part of our energy future. Furthermore, solar heat holds a great promise for cities, where air pollution is increasingly becoming a serious problem. The global potential for wind energy is huge. It can be harvested nearly everywhere; in valleys, on mountains, at sea. In December 2013 Denmark got nearly 60% of its energy supply from wind, and over 80 countries around the world now have commercial wind power installations, including Mongolia and Pakistan. Many more countries are starting to develop wind projects like Ethiopia, Kenya and Tanzania. The negative health impacts of burning fossil fuels are increasingly clear. Air pollution is one of the biggest causes of respiratory diseases in cities around the globe, leading to about 3 million premature deaths annually worldwide, 1.2 million alone in China. 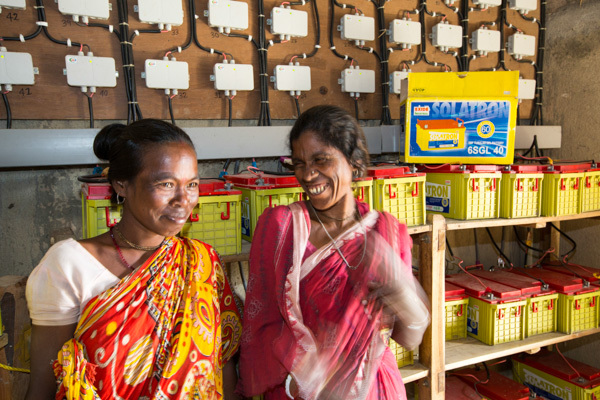 Over 1.4 billion people live without access to reliable electricity. 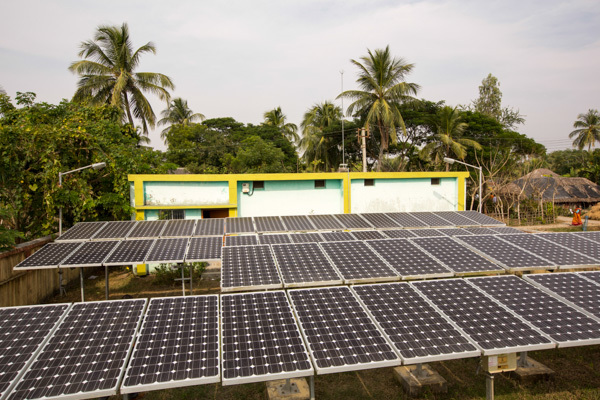 Energy access is a key development goal and renewable energy can play the biggest role in modernizing energy services, improving reliability and distribution. 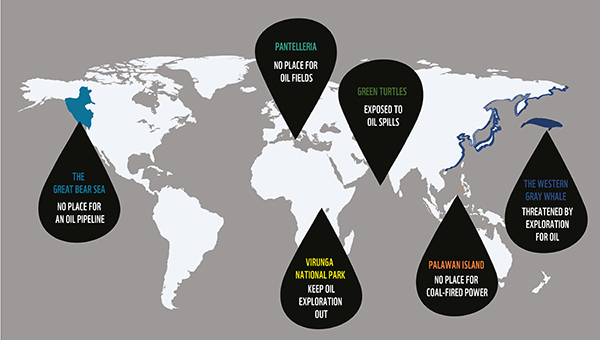 Extracting and burning fossil fuels like oil, coal and gas poses a threat to some of the world’s most spectacular landscapes, including the wildlife and people that live in them. These old-fashioned energy sources are scientifically proven to pollute the environment and contribute to climate change. Environmental challenges, such as the multiple impacts of climate change, are increasing and the cost of renewable energy is falling. These factors will profoundly alter asset values across a range of sectors and hamper the fossil fuel economy. Currently the financial risks caused by fossil fuels are poorly understood and usually underpriced, thereby creating stranded assets for the future. Renewable energy sources have the capacity to provide all of the world’s energy by 2050. The technology exists, and large scale investments are already being made in renewable energy. In 2012, South Africa stood out by investing about 1 per cent of its national GDP into renewable energy. Nevertheless, renewable energy still needs a lot more support. 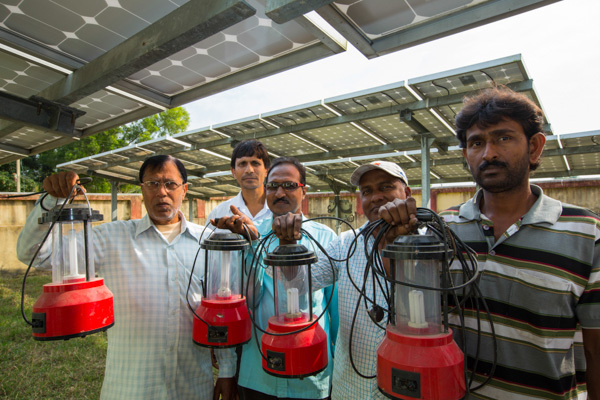 Worldwide, almost 6 million jobs are directly linked with the renewable energy sector. Renewable energy industries also contribute to the recovery of depressed economies and save economies money. They create more jobs in comparison with conventional energy and these jobs are spread in the whole country territory, not centralized in large energy plants.